Ok, of all the fashion trends that have come and gone over the years, there’s one that I’ve made more jokes about than any other–acid wash jeans. As a late-80’s baby, I remember them from my childhood. My mom totally rocked them, and truth be told, I probably did too.haha Of all the trends I never saw making a comeback, acid wash jeans were at the top of the list. 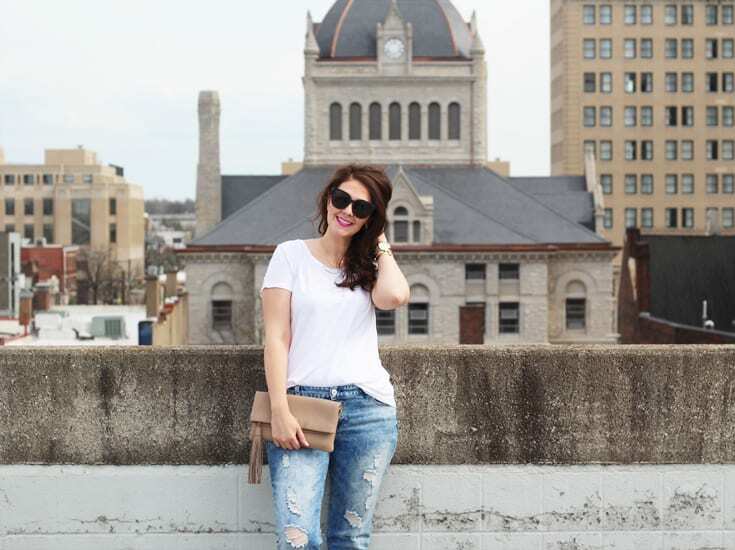 Well, brace yourself, because acid wash jeans are making a return!!! Acid wash has received a major update. 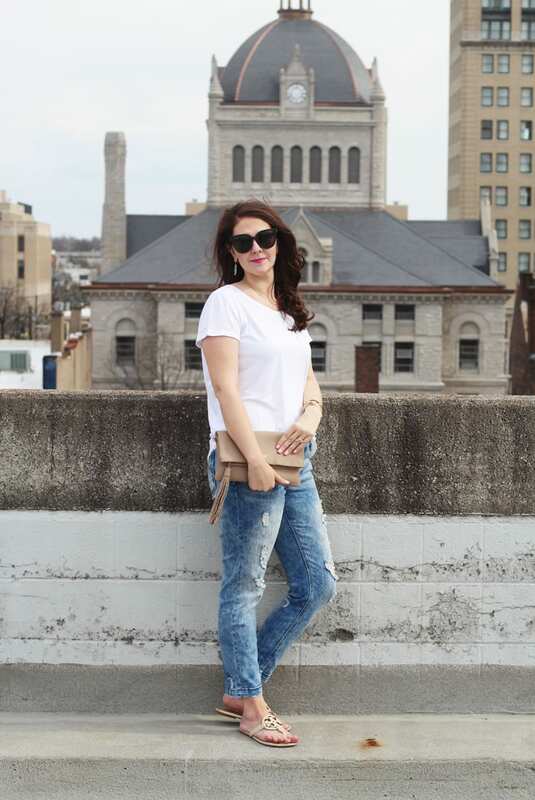 I love these acid wash jeans from Maurices! 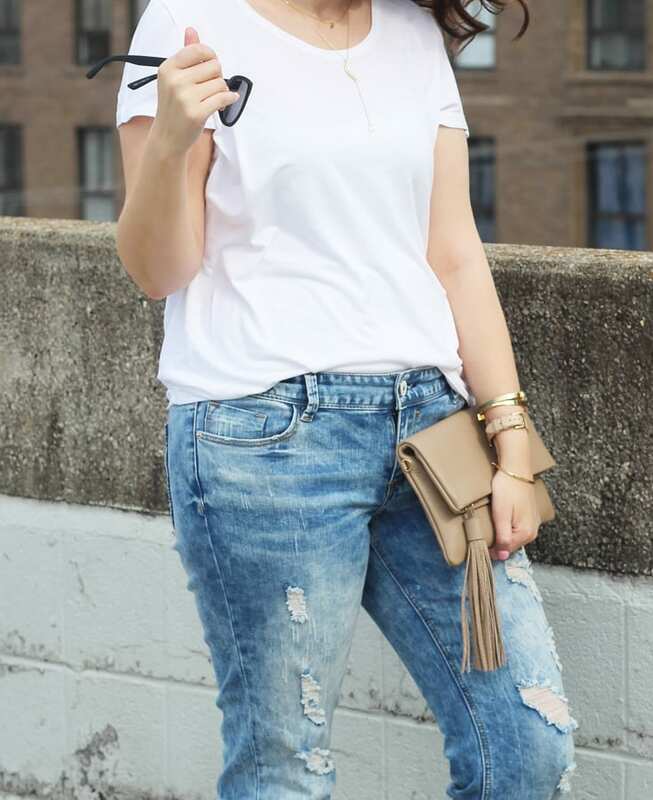 The boyfriend fit is very flattering and comfortable. They hit right at the ankles, which is perfect for spring and summer, but you could also roll the leg a little for a more authentic look. And the distressing on this pair is perfect, as it even shows up on the back of the jeans as well. 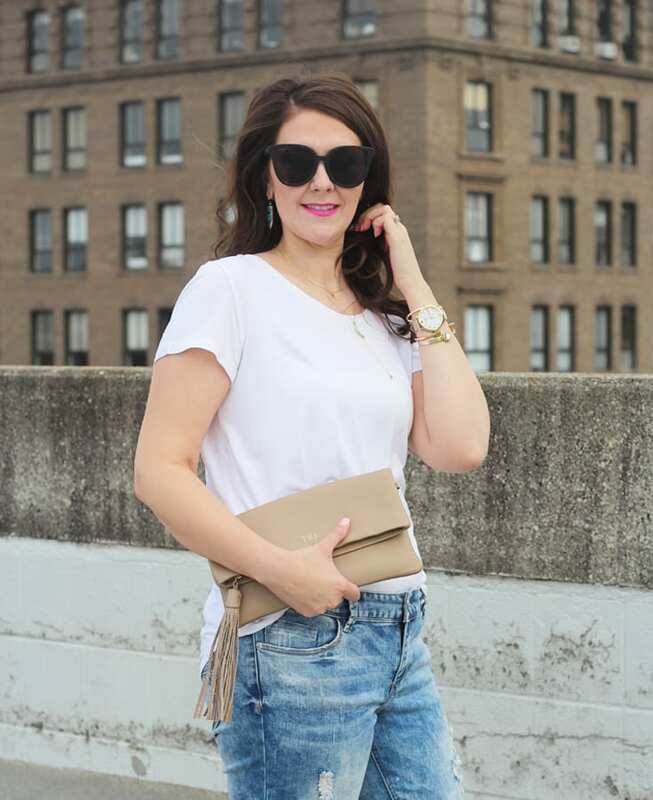 Since these jeans are a statement piece, I kept everything else simple. I went with this basic white tee from Gap Factory. It’s a luxe tee, so the material feels amazing. I recommend sizing up for an oversized fit. That way, you can do the slight front-tuck with the tee. As for jewelry, I’ve been wearing this arm party non-stop. I kept my necklaces simple, and only went with statement earrings. 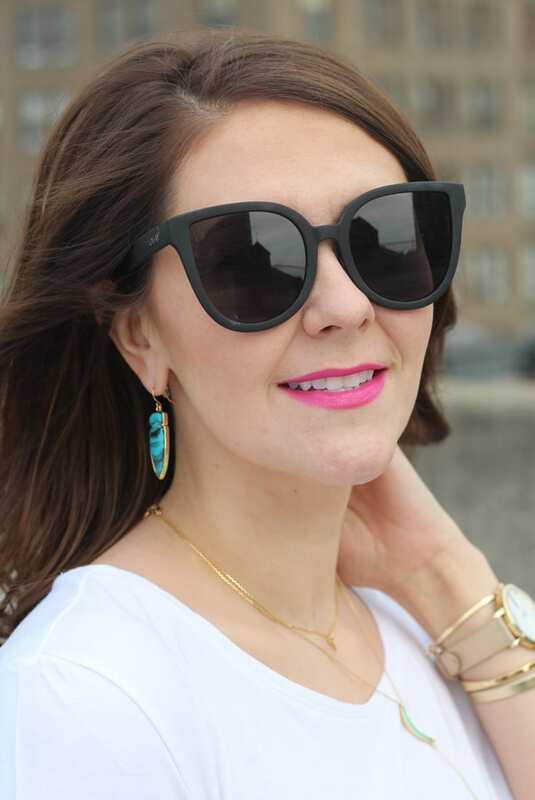 I love these arrowhead earrings that Baublebar sent me from their Sugarfix collab with Target. While they’re not online just yet, my store had them in stock this weekend! 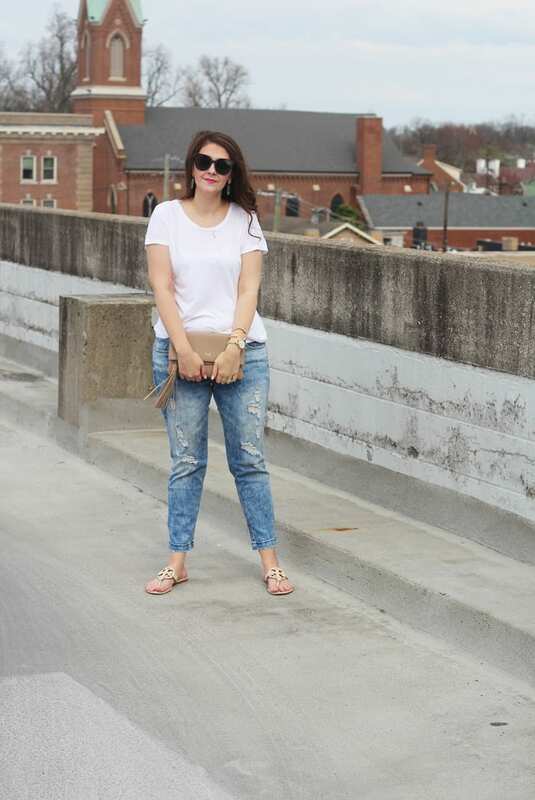 What do you think about acid wash jeans? Did you wear them the first time around? Think you’ll try an updated pair? Let me know in the comments!